I’m so excited. 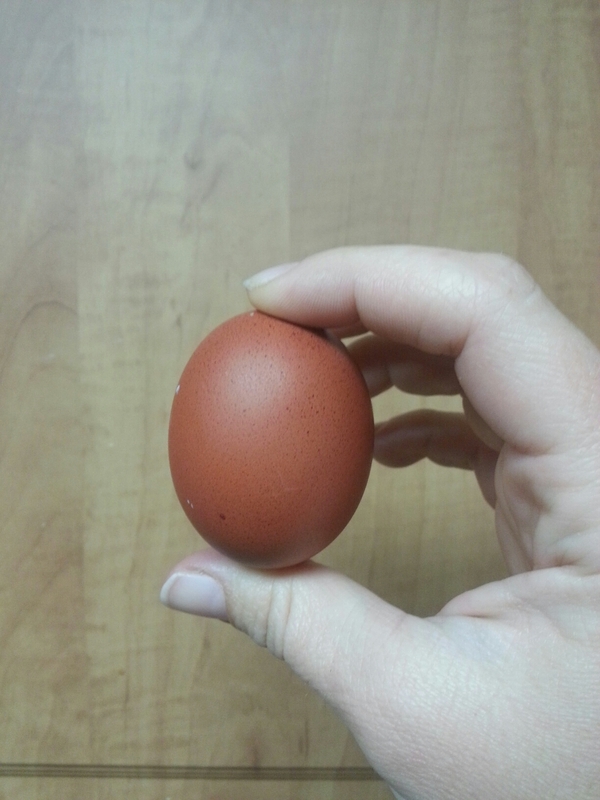 We got our first egg from one of our pullets. We received the chicks in November at about 3 weeks of age. I figured they’d start laying in April sometime. Looks like I was right! I just love the deep brown color of this egg. The only brown ones we've ever gotten through the years have been light colored. Our English Game Hen (who is about 2 years old) started laying again a couple months ago after the winter. But she only lays about 4 eggs a week, and since she is Princess Girl’s pet chicken, the eggs were reserved for Princess Girl to eat. So I’m very excited to start getting eggs from our other girls for the rest of us to eat. With only 4 hens, though, they won’t produce enough eggs for all of us on a regular basis, but they’ll offset how many we have to buy. And we buy a lot of eggs! This entry was posted in Portland Interlude 2014-2016, Urban Farming and tagged Chickens, Urban Homestead on April 9, 2015 by Maridy.